We don’t have to sacrifice quality for production. While we are priced like a production builder, we don’t have a national corporate headquarters pushing us to meet some crazy profit margin. 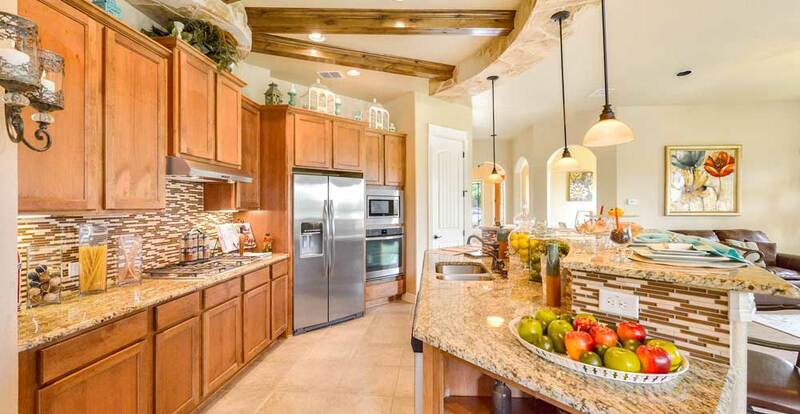 We are a local San Antonio business and can therefore take the time to build your home right, with the best materials, using unique designs and a long list of standard features, just like the custom builders do. When we deliver your house to you, it is consistent with our standards. None of our homes are rushed. Each home we build gets the same attention to detail and goes through the same stringent quality control that we believe every home should get before we will put our name on it. The slab, the frame, the brick, the quality materials and our extensive list of standard features. Our standard home is going to have a WOW factor, where with most builders you are going to have to spend thousands at the design center to create the WOW factor.